It has been 2 years since I stopped writing! I never had it in my mind to stop blogging. On the contrary, there were always things, thoughts and ideas I wanted to share, but I was always busy and there was always the common excuse “no time”. When friends used to ask me ‘why did u stop blogging’ I found it easy to say ‘the Syrian government has banned blogger.com’. After all, we are all human beings, i.e. inclined to blame others! Although I am very happy in my new life which I willingly chose, I always miss everything back home. I miss looking from my window at cars outside, at pedestrians, at children pedaling their bicycles watched over by their Indonesian maids, at students studying German language at Goethe institute, thinking maybe of also leaving Syria to continue their studies abroad and most probably of not coming back again! I miss Shaa’lan Street and all its mess, traffic and the crowd out there. I miss Salhiya Street and Abu Abdo, the cocktail shop and his famous fruit salad, I miss Aljahez Park and its surroundings, I miss restaurants, coffee shops and Shawrma, I miss old Damascus, and every single stone right there, I miss the strange faces I used to see there, faces of sellers, of beggars and of people that it never happened to see them twice! I miss the smell of pollution back home, the dirt on streets, the dusty buildings, the big ugly green trash bins full of stray cats and its bad smell. I miss mad taxi drivers and that hidden anger and the question of why I didn’t fight with them?! In Short, I miss the unique spirit of Damascus. 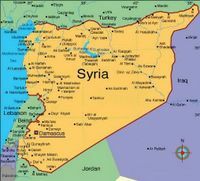 Am I going to return to Syria? No one could tell how soon that will be. I can't believe it. Ghalia is back. and welcome back. blogging is going to be ur new home! isn't it silly to exchange Damacus with an -online one ! Welcome back and please stay this time. I'm really happy to see you back here. I love that photo. very nice description.I really miss Damascus too :( specially the Old Damascus..
You made my tears drop. Thank you all for ur nice encouraging comments! It has been really long time! I'll do my best to keep blogging, I missed you guys. I know, I remember it very well sett Ghalia. And thanks again for that lovely tour of Khalid al-Azm's. You've been missed a lot here. That is awesome article Ghalia! 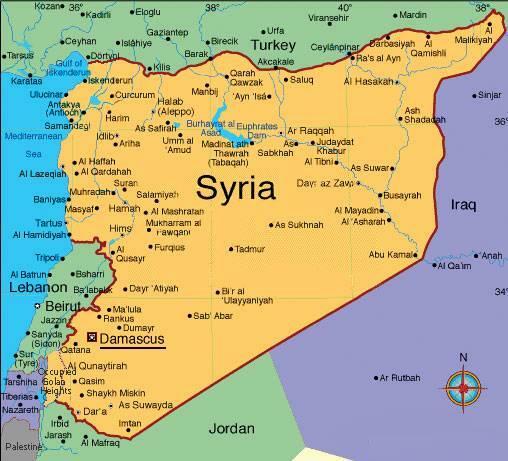 However, I noticed that most of expatriates are missing the bad aspects and features of Syria i.e. ugly buildings and rude taxi drivers while they overlooked some of good things like the friendly society and close family support, the peaceful environment and generous people, delicious dishes and a lot of amazing heritage. Anyway, I already suffer from homesick, your memories rejuvenate them though. Keep it up and good luck in your new life path! I checked on you just in time,I used to like what you blogged.Glad you will do some more. you know it for sure. I whish you a good summer end and the best in all. Great blog! My first time commenting. very nice words Ghalosh miss u my lovly friend and hope see you soon.